The words were spoken to Judas. But they could have been spoken to anyone. They could have been spoken to John, to Peter, to James. They could have been spoken to Thomas, to Andrew, to Nathanael. They could have been spoken to the Roman soldiers, to the Jewish leaders. They could have been spoken to Pilate, to Herod, to Caiaphas. They could have been spoken to every person who praised Him last Sunday but abandoned Him tonight. Everyone turned against Jesus that night. Everyone. Judas did. What was your motive, Judas? Why did you do it? Were you trying to call His hand? Did you want the money? Were you seeking some attention? And why, dear Judas, why did it have to be a kiss? You could have pointed. You could have just called His name. But you put your lips to His cheek and kissed. A snake kills with his mouth. The people did. The crowd turned on Jesus. We wonder who was in the crowd. Who were the bystanders? Matthew just says they were people. Regular folks like you and me with bills to pay and kids to raise and jobs to do. Individually they never would have turned on Jesus, but collectively they wanted to kill Him. Even the instantaneous healing of an amputated ear didn’t sway them. They suffered from mob blindness. They blocked each other’s vision of Jesus. The disciples did. “All of Jesus’ followers left Him and ran away.” Matthew must have written those words slowly. He was in that group. All the disciples were. Jesus told them they would scamper. They vowed they wouldn’t. But they did. When the choice came between their skin and their friend, they chose to run. Oh, they stood for a while. Peter even pulled his sword, went for the neck, and got a lobe. But their courage was as fleeting as their feet. When they saw Jesus was going down, they got out. The religious leaders did. Not surprising. Disappointing, though. They were the spiritual leaders of the nation. Men entrusted with the dispensing of goodness. Role models for the children. The pastors and Bible teachers of the community. “The leading priests and the whole Jewish council tried to find something false against Jesus so they could kill Him.” Paint that passage black with injustice. Paint the arrest green with jealousy. Paint that scene red with innocent blood. And paint Peter in a corner. For that’s where he is. No place to go. Caught in his own mistake. Peter did exactly what he had said he wouldn’t do. He had promised fervently only hours before, “Everyone else may stumble in their faith because of you, but I will not!” I hope Peter was hungry, because he ate those words. Everyone turned against Jesus. 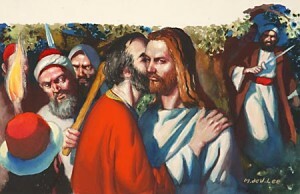 Though the kiss was planted by Judas, the betrayal was committed by all. Every person took a step, but no one took a stand. As Jesus left the garden, He walked alone. The world had turned against Him. Betray. The word is an eighth of an inch above betroth in the dictionary, but a world from betroth in life. It’s a weapon found only in the hands of one you love. Your enemy has no such tool, for only a friend can betray. Betrayal is mutiny. It’s a violation of a trust, an inside job. Would that it were a stranger. Would that it were a random attack. Would that you were a victim of circumstances. But you aren’t. You are a victim of a friend. A sandpaper kiss is placed on your cheek. A promise is made with fingers crossed. You look to your friends, and your friends don’t look back. You look to the system for justice - the system looks to you as a scapegoat. You are betrayed. Bitten with a snake’s kiss. It’s more than rejection. Rejection opens a wound; betrayal pours the salt. It’s more than loneliness. Loneliness leaves you in the cold, betrayal closes the door. It’s more than mockery. Mockery plunges the knife; betrayal twists it. It’s more than an insult. An insult attacks your pride; betrayal breaks your heart. As I search for betrayal’s synonyms, I keep seeing betrayal’s victims. That unsigned letter in yesterday’s mail, “My husband just told me he had an affair two years ago,” she wrote. “I feel so alone.” The phone call at home from the elderly woman whose drug-addicted son had taken her money. My friend in the Midwest who moved his family to take the promised job that never materialized. The single mother whose ex-husband brings his new girlfriend to her house when he comes to get the kids for the weekend. The seven-year-old girl infected with HIV. 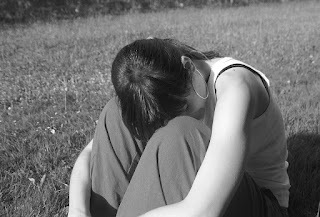 “I’m mad at my mother,” were her words. Betrayal... when your world turns against you. Betrayal... where there is opportunity for love, there is opportunity for hurt. When betrayal comes, what do you do? Get out? Get angry? Get even? You have to deal with it some way. Let’s see how Jesus dealt with it. They didn’t whisper it because Jesus never said it. He had known it. He had known what Judas would do, but He treated the betrayer as if he were faithful. It’s even more unfair when you consider the betrayal was Judas’s idea. The religious leaders didn’t seek him; Judas sought them. “What will you pay me for giving Jesus to you?” he asked. The betrayal would have been more palatable had Judas been propositioned by the leaders, but he wasn’t. He propositioned them. And Judas’s method... again, why did it have to be a kiss? And why did he have to call Him “Teacher”? That’s a title of respect. The incongruity of his words, deeds, and actions - I wouldn’t have called Judas “friend.” But that is exactly what Jesus called him. Why? Jesus could see something we can’t. Let me explain. There was once a person in our world who brought Denalyn and me a lot of stress. She would call in the middle of the night. She was demanding and ruthless. She screamed at us in public. When she wanted something, she wanted it immediately, and she wanted it exclusively from us. But we never asked her to leave us alone. We never told her to bug someone else. We never tried to get even. After all, she was only a few months old. It was easy for us to forgive our infant daughter’s behavior because we knew she didn’t know better. Now, there is a world of difference between an innocent child and a deliberate Judas. But there is still a point to my story, and it is this: the way to handle a person’s behavior is to understand the cause of it. One way to deal with a person’s peculiarities is to try to understand why he or she is peculiar. Jesus knew Judas had been seduced by a powerful foe. He was aware of the wiles of Satan’s whispers (He had just heard them Himself). He knew how hard it was for Judas to do what was right. He didn’t justify what Judas did. He didn’t minimize the deed. Nor did He release Judas from his choice. But He did look eye to eye with His betrayer and try to understand. As long as you hate your enemy, a jail door is closed and a prisoner is taken. But when you try to understand and release your foe from your hatred, then the prisoner is released, and that prisoner is you. Perhaps you don’t like that idea. Perhaps the thought of forgiveness is unrealistic. Perhaps the idea of trying to understand the Judases in our world is simply too gracious. My response to you then is a question. What do you suggest? Will harboring the anger solve the problem? Will getting even remove the hurt? Does hatred do any good? Again, I’m not minimizing your hurt or justifying their actions. But I am saying that justice won’t come this side of eternity. And demanding that your enemy get his or her share of pain will, in the process, be most painful to you. May I gently but firmly remind you of something you know but may have forgotten? Troubles are part of the package. Betrayals are part of our troubles. Don’t be surprised when betrayals come. Don’t look for fairness here — look instead where Jesus looked. 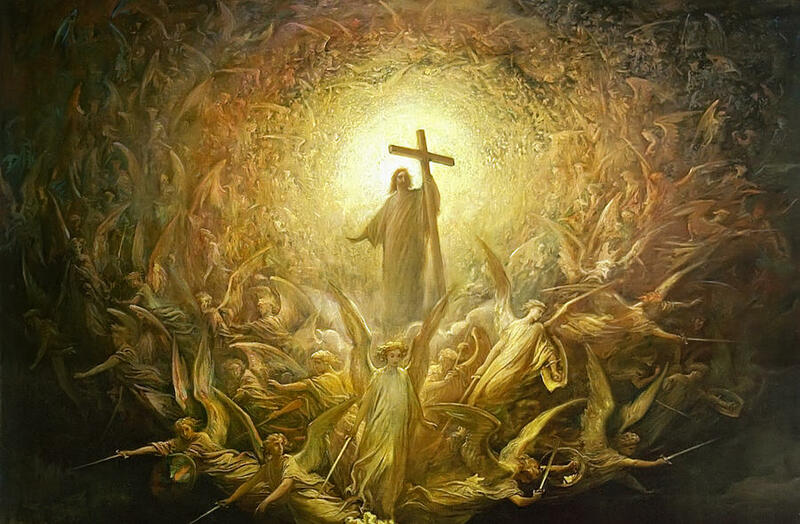 While going through hell, Jesus kept His eyes on Heaven. Jesus took a long look into the homeland. Long enough to count His friends. “I could ask my Father and He would give me... twelve armies of angels.” And seeing them up there gave Him strength down here. 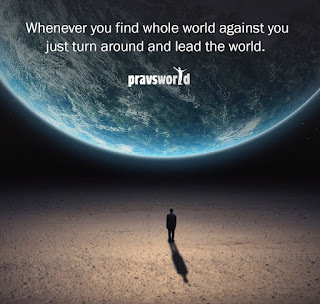 When all of earth turns against you, all of heaven turns toward you. To keep your balance in a crooked world, look at the mountains.